The key to a successful grow is getting the right seeds for your needs! Not everyone has the same goals when they are growing cannabis indoors. 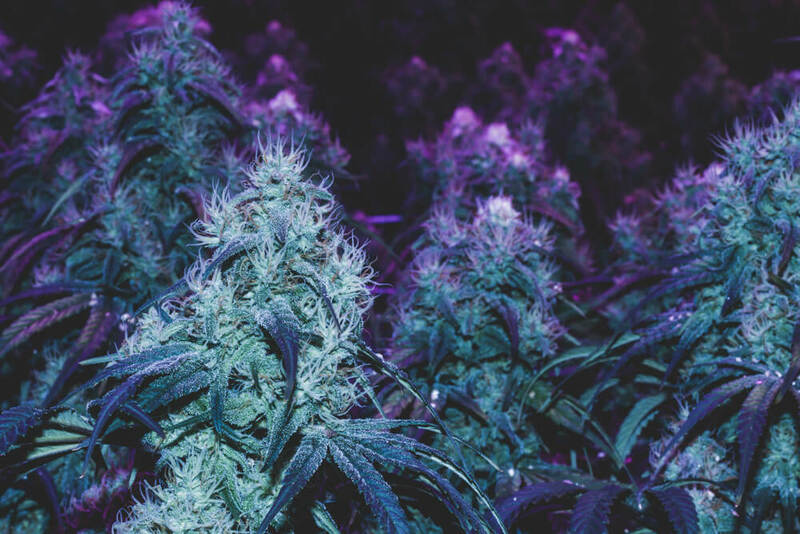 For example, many recreational marijuana growers are interested in growing the highest THC strains on the market, while medicinal users want high-CBD strains. Besides your care and love, a plant’s genetic makeup is the decisive factor behind a lot of things, such as the concentration of cannabinoids, height, yield, resistance to disease, flowering time and other biological functions. THC count is one of these things that can be improved with some proper care but is still largely genetically predisposed. That’s why we prepared a handy list of the Top 10 High-THC marijuana strains as of early 2018. But first, let’s share some information and historical facts about THC. Being high is amazing. 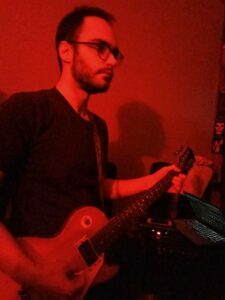 This feeling of intense brain activity coupled with a tingling sensation throughout the body… You can feel it right now, don’t you? Well, all of these euphoric feelings are mainly caused by one chemical compound naturally found in the cannabis plant. You may only know it as THC, but officially it goes by the name Tetrahydrocannabinol. THC is the most prevalent among hundreds of active compounds found in the cannabis plant (cannabinoids) and is also the most psychoactive. Despite its current illegal status, THC’s history has been closely connected with human civilization. There are accounts of ancient Assyrians using marijuana as a psychoactive in religious ceremonies called qunubu (giving cannabis its modern name). Cannabinoids like THC work by binding to endocannabinoid receptors concentrated in receptors found throughout our body. THC, in particular, shows a higher affinity for the CB1 receptors, found mainly in the brain. This process triggers the release of the neurotransmitter responsible for feelings of euphoria and elation, similar to the ones released after getting a workout. This is what we perceive as “being high”: the higher the THC count, the more intense the effects. However, as I am sure most of you can confirm, feeling high is not the only way marijuana affects us. Depending on the genetics and the conditions the plant grew in, high-THC strains can induce relaxed feelings or even paranoia. It completely depends on the person and the individual organism. Other psychological effects of THC include a sense of exhilaration, intense sensory experiences, talkativeness, increased cognitive abilities, and altered time perception. Not to mention the increased appetite (munchies, anyone?). You’ve got to remember that there are too many factors at play when it comes to getting high. The same strain can cause hallucinations to some people and a pleasant head high to others. Due to the illegal status of cannabis in many parts of the world, research regarding the effects of cannabinoids is inconclusive. We still don’t know much about the health benefits of marijuana, but then again, the same goes for its side-effects. However, there is some preliminary evidence to go around. Marijuana cannabinoids have a lot of medical benefits on their own, and even more when they work in synergy. And although few people want to use THC-rich strains for medicinal reasons, it still has some uses as medicine! We wouldn’t recommend consuming high THC marijuana if you suffer from anxiety or insomnia. Although THC is harmless for most consumers, it is still psychoactive and can produce unpredictable side-effects. However, the euphoric cerebral effects of THC are great for people suffering from depression and negative thoughts. 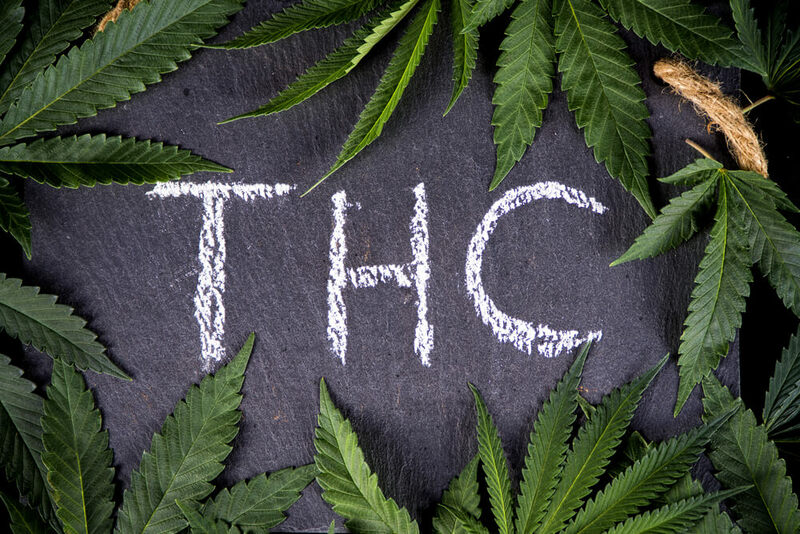 THC, like CBD, is a potent anti-inflammatory drug, suitable for autoimmune conditions or other causes of inflammation, like neurodegenerative disorders or multiple sclerosis. There is not conclusive evidence that THC can actually kill cancerous cells. However, there are certainly some promising early data. Cancer-killing or not, the use of THC in cancer patients can prove valuable, as it can improve the mood and reduce the symptoms of the harsh cancer treatments. THC has great pain-relieving properties and can be a safe alternative to extremely potent and addictive opioids. With USA and Canada facing a mess of overflowing opioid medication that kills thousands each year, THC is a great solution. THC works similarly to opioids, releasing dopamine that negates the pain signals sent to the brain. However, it is not addictive and its side effects are way milder. Evidence for the long-term side-effects of cannabis is shaky at best, but then again, research is still ongoing. While cannabis is indeed beneficial, we believe it is best to take all of the hype with a healthy dose of skepticism and be realistic regarding our expectations from THC. We won’t even discuss problems like lung cancer and bronchitis, as THC can be consumed in a myriad of ways that don’t involve smoking. So, let’s look at the purely medicinal claims about the harms of THC. Recent research has shown a correlation between frequent consumption of high-THC marijuana and alterations in a region of the brain called callosal commissure (which connects the brain hemispheres) and the hippocampus. Obtaining the data from cannabis users, researchers have found that people who consume high-potency THC, showed differences in the callosal commissure than people who don’t. The good news is that these differences are not directly linked to any conditions, so we can’t reach any definite conclusions regarding their exact nature. A 2016 study suggested that frequent use of high-THC marijuana was associated with worse verbal memory and processing speed among 3385 participants. Specifically, the study claims that for every five years of continuous cannabis, the users’ verbal memory was 0.13 standardized units lower. In layman’s terms, that means 1 of 2 participants remembering one word fewer from a list of 15 words every five years. People who are predisposed towards schizophrenia and other psychotic conditions have a reason to be cautious around THC. There is evidence that it can trigger the onset of symptoms earlier than expected. However, this can only happen to people who already have a genetic condition. Frankly, this is the primary reason we love THC: getting high and having a good time. To reap all the rewards of the highest THC strains, you need to find the perfect ratio for your needs. There is no use consuming an insanely potent strain only to find out that it makes you dizzy and paranoid. Modern seedbanks are constantly trying to break records with selective breeding that promotes higher and higher concentrations of THC. After all, the popularity of THC signaled the emergence of a new side-market: edibles, hash, concentrates, vape liquids and THC Oils are just some of the products you can use to get high without having to smoke. Sure, nothing compares to rolling an old-fashioned fat blunt, but methods like dabbing or vaping produce a more well-rounded and flavorful experience. Marijuana strains are getting more potent each year, as seedbanks release their newest creations on the market. Below we will share with you our picks for the top 10 highest THC strains (under no particular order). You should be careful around these, especially if your tolerance is low. Try a couple of tentative hits and see where that gets you. Apart from an actual glue brand, Gorilla Glue is also the accidental creation of two farmers Lonie Watie and Joesy Whales, as their Chem Sis plants turned out hermaphrodite, pollinating a Sour Dubb plant. This happy accident resulted in the creation of the Gorilla Glue strain! With THC levels reaching 24-30%, this indica-dominant strain is among the most potent marijuana seeds available on the market. Legend has it the breeders chose to name it this way because the buds were incredibly sticky! This strain will flower about ten weeks from seeding and will produce a respectable yield with enormous amounts of resin and THC! Nova OG is one of the most potent strains on the globe, having been tested with a whopping 32% content of THC. An indica-dominant strain with immense flower production, the Nova OG offers an amazing sensory experience as well. The smell is rich and citrusy, while the taste is sweet and pungent. Grown outdoors Nova OG is will produce 650gr of flower per plant, while indoor yields will be around 500gr/m2. A cross of two immensely powerful strains, Durban Cookies is obviously the mix between Durban Poison and Girl Scout Cookies. 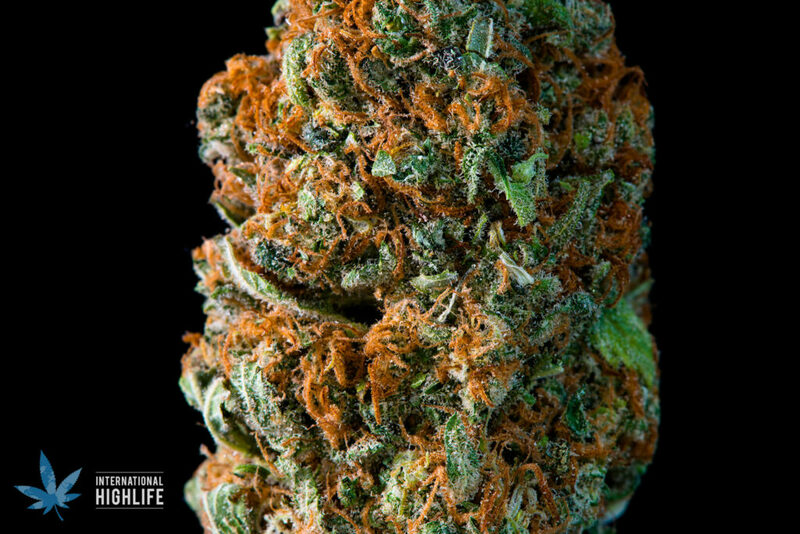 This sativa-dominant strain is extremely powerful and produces a clean and cerebral high. This tasty-named strain is an evenly balanced hybrid produced by the seedbank Reserva Privada. Strawberry Banana is a cross between Bubble Gum and Banana Kush and produces fruity and enjoyable taste. However, its smell is less than discreet, so if privacy is a concern, don’t use it in public! Testing labs have repeatedly found that Strawberry Banana strains produce THC levels between 20-26%. When grown indoors, this strain will flower in about nine weeks, producing about 500gr of flower per square meter. Named after the famed Tutankhamun, the Egyptian pharaoh of the 18th dynasty, King Tut is one of the most powerful sativa strains in the world. Its THC levels hover around 25-30%, and its effects are full of speed and energy. Made my Pyramid Seeds (how apt! ), King Tut is a cross between an AK-47 and an unknown strain. Due to its strength, beginners should tread lightly around this strain, lest they reap King Tut’s actual curse! This strain is also quite fast, flowering within eight weeks from seed. It grows quite short indoors, so you don’t have to worry too much about the size. It will produce about 500gr of flower per square meter.